I mostly make smoothies in my Optimum G2.1 blender, but occasionally I make shakes too. This is one I make as a treat for Cooper. It's made with Oreos so it's not the healthiest recipe, but I balance that out by adding lots of seeds, cacao powder and baobab powder. I made this shake with almond milk, but you could make it with your favourite milk, either dairy or dairy free, it's your choice. You could even add a scoop of ice cream for a spot of luxury. note: if you don't have a power blender like mine, skip the ice. It will just burn out your blender's motor. 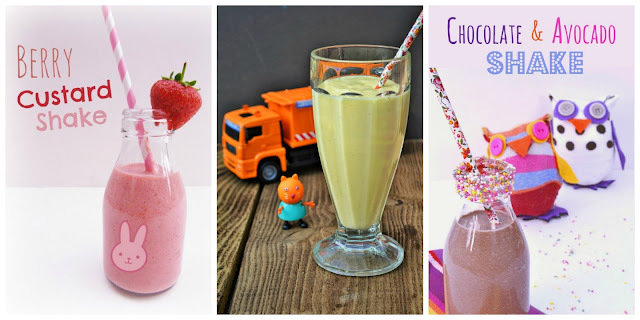 A creamy dairy free shake with the flavour of Oreo cookies, chocolate and milk. With extra goodness from seeds and cacao. 1. Add all the ingredients to a blender and whizz until smooth. If you don't have a power blender, skip the ice.2. 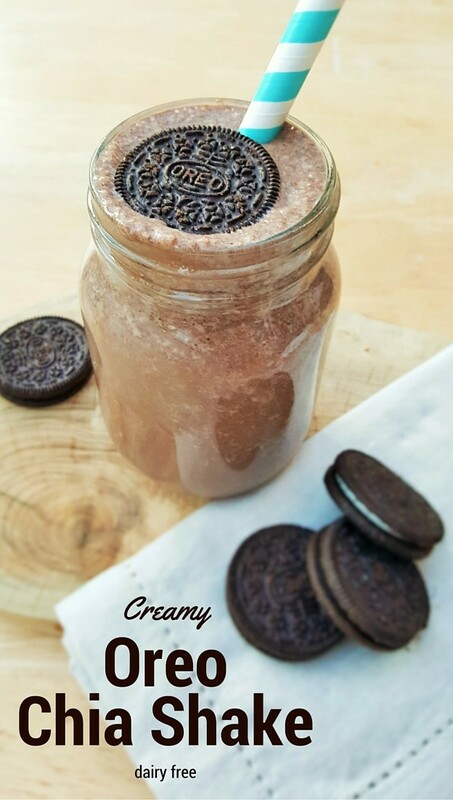 Pour into glasses or jam jars, top with an Oreo and serve with a thick straw.3. Enjoy! Disclosure: You can find out about my blender and why I work for Froothie on my Juicers and Blenders page. They do not ask me for a positive review and any opinions expressed are my own. I tried Oreos for the first time in January (during Veganuary - I figured if Oreos are vegan then it would be rude not to give them a go!) and now I can't stop buying them. Definitely making this smoothie! They are rather good aren't they? My boys love them. Think I need to jump on this shake wagon - I keep seeing milkshakes everywhere! I have also been reading loads on Chia must try out this shake! I love oreo's too so it's an all around winner!! Yes it's definitely one for you Lisa and I'm sure your girls would love this. I'm not really an Oreo person - although everyone else in my family is. I reckon I'd be very popular if I made them this one. I think that the apple pie shake is more my kind of thing. I'm with Laura, Apple Pie Shake for me and my kids can have the Oreo one! Oh my god! I want to hug you for this recipe. And it's banana free :D I am so trying this!! wow sylvia would love this - and great vegan shake! Making this! It sounds amazing!